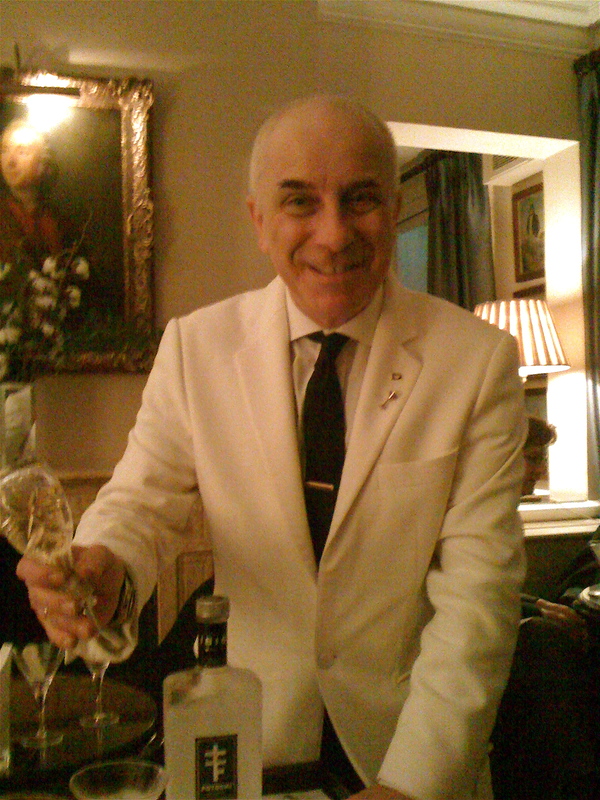 There are times when nothing else will do than a perfectly constructed dry vodka martini and at those moments there is only man to go and see-the legendary Alessandro Palazzi. 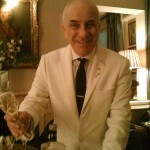 Alessandro has been managing the discrete and intimate bar at Dukes for a few years now and is the supplier of the most profound and exciting alcohol hit to be had in London. At this point The Hedonist has to offer you a health warning-one of these synapse-numbing alcoholic clusterbombs is a fantastic experience, two is great-you will probably be able to walk away in one piece, three……it’s game over-don’t go there. The process begins with Alessandro bringing over the Martini trolley laden with a bottle of the holiest and purest of spirits-Plotocki vodka. At this point The Hedonist is already starting to feel slightly wobbly with anticipation as Alessandro tells the now familiar tale of the Plotocki family history, his comforting tones lulling you into a sense of security as the chilled rye-flavoured liquid gently caresses the glass. A few drops of vermouth are casually sprinkled in depending on the level of dryness and an Amalfi lemon twist is rubbed onto the rim of the glass and inserted. And then you take your first sip…and I challenge anyone to a duel with sharpened cocktail sticks who says that it isn’t an alcoholic epiphany. The vodka is delicious and then comes the rush of the alcohol which takes you to a better place-a place where tax bills morph into delicious edible flower-scented sugar paper and domestic problems fade away to nothingness. Your resistance will be so lowered by the first martini that you probably won’t be able to leave without trying a second one just to confirm the experience and of course all this pleasure comes at a price, but if you are worried about the price you probably shouldn’t be at Dukes in the first place.